Lace-trim, a tailored collar, a self-tie wrap belt, an inside tie and a pocket. 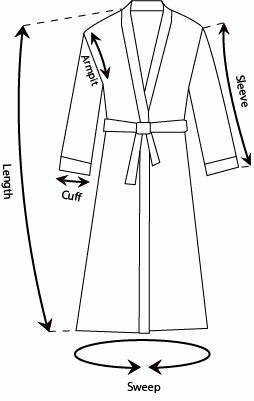 This robe features lace-trim, a tailored collar, a self-tie wrap belt, an inside tie and a pocket. These robes are excellent for the price! Great fit and will work for each member of my wedding party!